The question has been asked over and over again, is it possible to use social media to improve the search engine position of a website? The answer is an absolute yes! Of course many individuals and business owners use social media to build relationships and their bottom lines but when SEO (search engine optimization) is added to the mix the ROI (return on investment) in social media marketing shoots through the roof. In order to achieve success with SEO and social media you must first outline your objectives, your target audience and the best strategy for achieving your objectives. All aspects of your social media interactions should in some way include your SEO objectives. For instance any content that you add must be optimized in such a way as to attract the audience that you hope to appeal to. 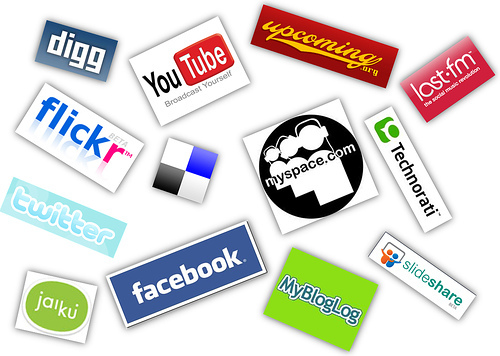 This means that you must include your search terms in your posts, comments and status updates. Tag your audio, video and images with the appropriate keywords. This requires some thought and skill since the goal is to attract the search engines but still keep it personal and interactive for your audience. Social media campaigns more and more are playing a key role in SEO. In fact without it link building and getting an endless stream of organic traffic to your site would be an uphill battle. Social media platforms provides the atmosphere for its users to share links, post comments and recommend products or services that they enjoy. By putting lots of good content forward your site will get all the exposure it needs through recommendations and inbound links. Identifying your target audience. Who are the people you plan to attract to your products and services? What are their preferences? What social media sites do they frequent? What kind of solutions are they searching for online? Keep up with them and find ways to meet their needs. Defining your objectives. You have to be realistic. Social media can accomplish a lot but don’t expect it to do things that it just cannot do. When combined with other forms or marketing and SEO efforts it will work for you. Define your goals but keep it objective. Devise a good plan and tweak it if necessary. Your focus should be on loads of quality content but it should be presented in a way that targets your keywords but still encourage the interaction that is required for social media. Your strategy might evolve over time and that is okay because you should always look for ways to improve your ROI. The role of SEO in social media is becoming more and more obvious. If you make the effort to get started now you will be miles ahead of the pack. Already there are hundreds of success stories of small brands that have made it big with the help of Twitter, Facebook and LinkedIn. Get in now because it will do the same for you.